Today, February 05, 2010, marks the 40th day after the martyrdom of Imam Husayn(A), the grandson of Prophet Muhammad(S). Arbaeen means 40th in Arabic. Report includes an interview with Masoud Shadjareh, the head of the Islamic Human Rights Commission (IHRC), explaining the significance and importance of Arbaeen. Includes live pictures from Karbala, showing the Arbaeen Commemorations. Hadith Explanation by Imam Khamenei | Don\\\'t Ignore Dua Ayatollah Khamenei explains the significance of dua (supplicating to Allah) and the effects of dua on a person\\\'s life. It is essential that we do not ignore dua in our lives. 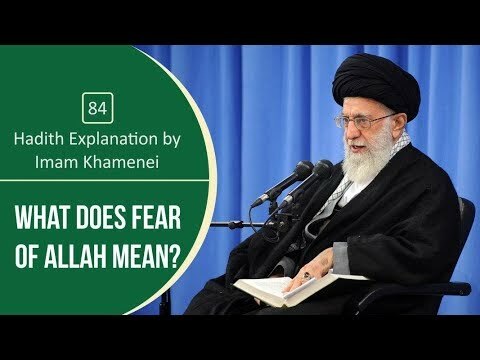 Hadith Explanation by Imam Khamenei | What does Fear of Allah mean? Ayatollah Khamenei explains what it means to be afraid of Allah? Sometimes it is misunderstood what fear of Allah means. How important is this fear? What is the significance of this fear? 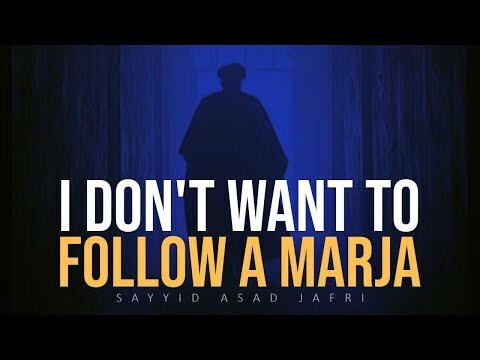 What does Imam Sajjad (A) teach us in this regard? Why Are They Afraid of MASJID? | Imam Khomeini (R) What is it about Masjids (mosques) that makes them afraid? Why do they attack Masjids? Why do they discourage congregational prayers? What are they trying to accomplish by steering the youth away from congregational prayers? What is the significance of a Masjid? Is it a social club? A documentary that takes you on a visit to Karbala. Very informative. It takes you to a number of sites for Ziarat and explains the historical significance of each holy site. A documentary that takes you on a visit to Najaf. Very informative. It takes you to a number of sites for Ziarat and explains the historical significance of each holy site. A documentary that takes you on a visit to Shaam Syria. Very informative. It takes you to a number of sites for Ziarat and explains the historical significance of each holy site. Concerned about the devastation currently being inflicted on the people of Lebanon and Palestine by the Israeli Military Forces and with the very limited and biased reporting on these conflicts presented by most American media networks - students organized a teach-in on the UC Berkeley campus in order to give students faculty and the Bay Area community at large achance to gain a greater understanding of these events and to participate in an open discussion on their significance for both Americans and the people of the Middle East. During the first hour of this two-hour event four scholars with expertise in the Middle East presented short analyses - 15 minutes each - of the historical and political dimensions of this conflict focusing on the following themes. 1. The role US foreign policy has played in enabling and authorizing the Israeli bombardment 2. The origins and historical development of Hezbollah and the role of this movement within Lebanese social and political arenas 3. The shifting political alignments within Israel and their relation to the current war on Lebanon and to Israels role in the region more broadly 4. The impact of Israeli military actions in Gaza and the West Bank on the lives of Palestinians and the political landscape of the Palestinian society. The presentations were followed by audience questions and comments which is what this video is about. Speakers in the first part included Judith Butler Beshara Doumani Charles Hirschkind Saba Mahmood Zeina Zaatari The teach-in took place on September 7th 2006. Checkout more clips from this event on this site or on google video. There is a big protest in Najaf on April 9th 2008 in which people of Iraq will be demonstrating their desire to end this illegal occupation of US forces in Iraq. The call is OCCUPATION OUT. People of Iraq are out of strength to witness more innocents die. There has already been enough blood-shed. This illegal unlawful unethical infiltration of the occupied forces in Iraq have recently started a new Massacre in Basra. US jets have been dropping bombs in Basra in which several casualties have been claimed. And guess what - MORE INNOCENTS DIED - It probably does not sound like a news anymore. Right. Well we do not care. Right. Well there is nothing we can do. Right. Great Awesome Perfect. But remember one thing - today we are quiet and others are being massacred. Tomorrow we will be massacred and others will be quiet. Making exactly the same excuses. Well we do not care. Well there is nothing we can do. Iraqis have been living on their own and by themselves for years decades and centuries. What makes US think that they NEED OUR HELP. This is absurd. Iraq is a country that has a strong historical significance. Iraq existed even when US and Israel were not on the map of the earth. Iraq has a culture. Iraqis are a nation with a strong cultural heritage - unlike US. IRAQIS DO NOT NEED FOREIGNERS TO BE TEACHING THEM WHAT TO DO AND WHAT NOT. May be there is less than 1 percent population in Iraq that LOVES United States Army existence in Iraq. I have a better plan to offer. Since we care so much about that 1 percent population - MOVE THEM TO ISRAEL or MOVE THEM TO WASHINGTON. May curse of Allah be on the aggressors and oppressors. This 60-minute video documentary explores the conditions on Earth that allow for intelligent life and also make it a strangely well suited place for viewing and analyzing the universe. In this book we are going to tell you about a creature that you know quite well, that you meet everywhere without actually giving it much attention, that is highly skillful, highly social and highly intelligent - The Ant. Our aim is to review the lives full of miracles of these minute creatures that are never of any significance in our daily lives. In this movie we are going to tell you about a creature that you know quite well, that you meet everywhere without actually giving it much attention, that is highly skillful, highly social and highly intelligent - The Ant. Our aim is to review the lives full of miracles of these minute creatures that are never of any significance in our daily lives. Hours after gunmen attack military vehicles and buses Israel carried out airstrike on Gaza, Seven Palestinians' including a young girl were killed in the airstrike in Gaza town of Rafah. This edition of News Analysis will discuss Israel's posturing, how this may turn focus away from their own domestic problems, especially the growing protest movement, and the significance of the timing of this attack in Israel, as Palestinians get ready for their September bid for statehood at the UN. An interview with Hujjatul Islam Ghulam Hurr Shabbiri on the topic of Al-Quds, its significance in Islam and for Muslims and our responsibilities. It has been a ground breaking year in the Arab world. Some revolutions are taking their first steps, others are still feeling the pangs of birth. Either way a new region is being born. In a predominantly Muslim region, the Arab Spring has been dubbed an Islamic Awakening. At this conference in London, religious scholars of different faiths and denominations, political figures and experts gathered to discuss the idea. The job is not done yet. But among many of those fighting for freedom on the streets of the Arab world, their belief in god - Allah in Arabic - means everything. A matter of life and death. The sound of AllahuAkbar - God is Great - is now well known across the world synonymous to protestors who believe victory cannot be achieved without him. Of course it is not just Muslims who have been protesting. So what does the Islamic Awakening mean for them? Among the political, social and cultural complexities of these revolutions, the issue of spirituality and faith cannot be ignored. It has played a role. Its significance is yet to be paved. The revolution over the last year have occurred in the muslim world. At this conference they are discussing why they should be called an Islamic awakening. It’s clear Islam played a role in these just born revolutions still defining themselves. They are young movements rooted in a history that must be understood. That’s why the questions being asked her are so crucial. What are the elements of true Islamic values and what would they mean for the region if implemented.